Look closely and you may spot me here with Hurst Point Lighthouse! 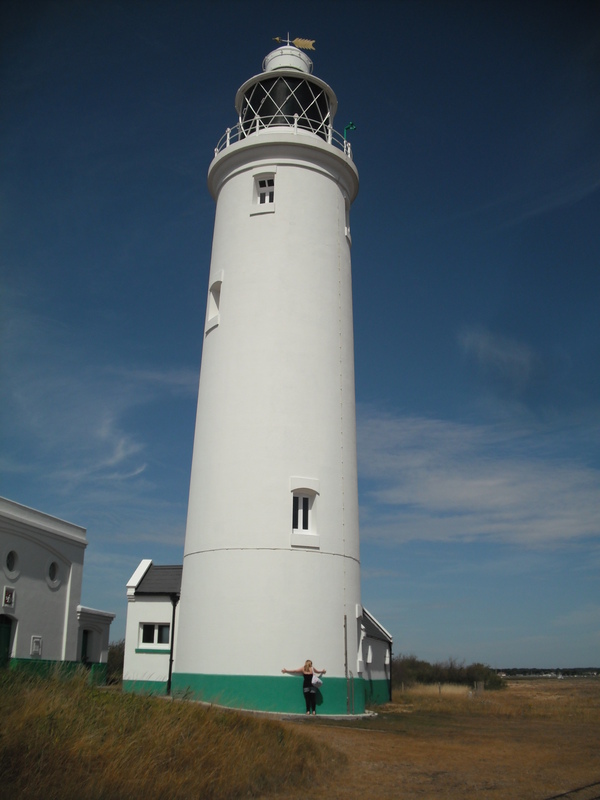 Kicking off on Saturday 12th May 2012, the tour will take me anti-clockwise around the UK starting from my home in London and the first lighthouse of my tour, Naze Tower in Walton-on-the-Naze, Essex. Following as many coastal roads as I possibly can and, hopefully, grabbing some great pictures along the way, I will then work my way up to and around the edge of mainland Scotland, down through North West England, Wales and the South West, finishing off back in the South East. With just one month to complete my journey, it’s going to be a bit of a trek to say the least, but I am (or will be) ready and willing to get out there on the road and, most importantly, enjoy all that the UK has to offer in coastal scenery. Along the way I will be regularly updating this blog to allow you the opportunity to follow my progress and enjoy learning more about our island nation (as they would say on the BBC’s Coast)! Perhaps you are wondering why I am doing this and it’s certainly a valid question. Since the age of roughly 16 I’ve had a (to some people) strange fascination with lighthouses for no clear reason. It may be their dominating structure, their remote locations, or simply the fact that I was born and brought up on the Isle of Wight, an island off of the south coast of mainland UK and host to The Needles with their accompanying lighthouse and the shorter, but dramatic, St Catherine’s lighthouse on the southernmost point of the island. So, my answer would be ‘Take your pick’! So, with tent, sleeping bag and plenty of baby wipes in tow, myself and my beautiful little Suzuki Wagon R+ will set sail for this exciting adventure and invite you to join us from the comfort of your own home! That was the plan and it was pretty much exactly how it worked in reality. I covered the coasts of North East England, Scotland, North West England and North Wales. After reaching the Cardigan area nature’s forces took over with torrential rain and gale force winds blowing me along the M4 (at times sideways) towards the south coast of England. As a result I spent the final weekend of the tour visiting a few lighthouses in Hampshire, East Sussex and Kent before heading home to London. The tour has continued ever since. This is, in large part, thanks to Bob who I met on my journey back from Cape Wrath and who I married in 2013. I have blog posts from the day we met, our first date and the proposal in October 2012 as well as our son’s first ever lighthouse visit on the way home from the hospital. The tour will continue well into the future with plenty more islands and countries to be visited.